They are one of the top bookmakers for US gamblers and offer high betting limits, the earliest lines in the business, lines on every major US sport including baseball, basketball, football, and hockey, and the professionalism that comes from being in business for almost thirty years (with twenty of those being online). If you are looking for one of the better sports betting sites on the web then you should definitely check out bookmaker.eu. They are one of the top bookmakers for US gamblers and offer high betting limits, the earliest lines in the business, lines on every major US sport including baseball, basketball, football, and hockey, and the professionalism that comes from being in business for almost thirty years (with twenty of those being online). 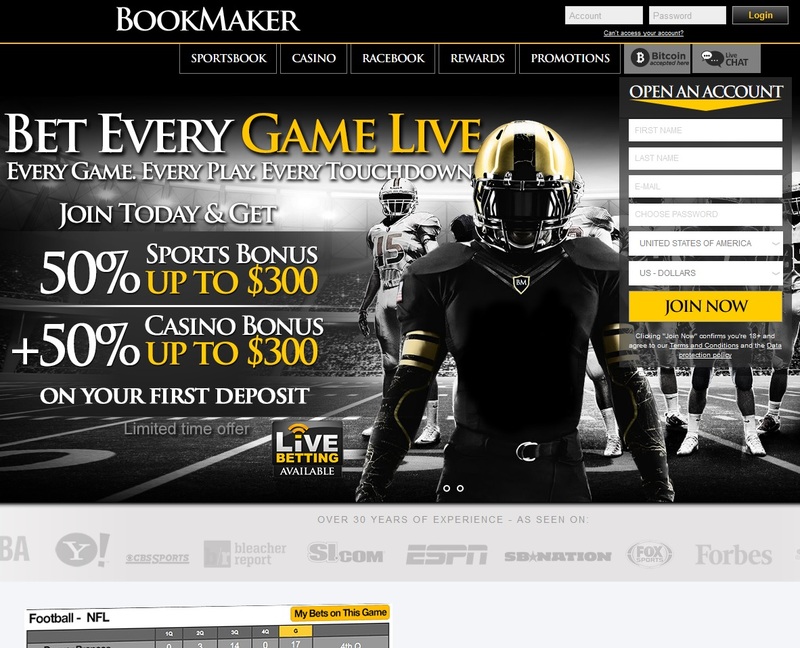 There is not only a great breadth of sports betting options on bookmaker.eu, but also great depth. Each major market has sub-markets allowing gamblers a wide array of options for placing bets. In addition they offer a variety of betting styles including straight bets, parlays, point spreads, teasers, over/unders, if bets, money lines, and more, all to provide a unique online betting experience. Alongside all the variety of sports betting options is the racebook where you can place bets on over fifty different North American tracks and all for as little as one dollar. There are twelve different ways to place bets and you can gamble on all the major race events including Belmont, The Kentucky Derby, and the Triple Crown. Every option is available to maximize your betting potential. Are you someone who might not really be into sports betting but you’d love to place a bet on the latest episode of Keeping up with the Kardashians? Bookmaker.eu has you covered with a wide selection of television shows where you can bet on everything from who will win this season on Big Brother to who will win Album of the Year at the Grammys. You can even bet on politics and they had lines on the last presidential election. Sports betting is not the only option for gamblers at bookmaker.eu, for they also offer an casino games to place bets on. They have slots, blackjack, and video poker all with signup bonuses if you’re looking to kill some time between bets or just want something different. With all these options bookmaker.eu is easily one of the top sports betting sites online. They also offer VIP packages at a few different levels so regardless of how much you are looking to gamble, they will have you covered.